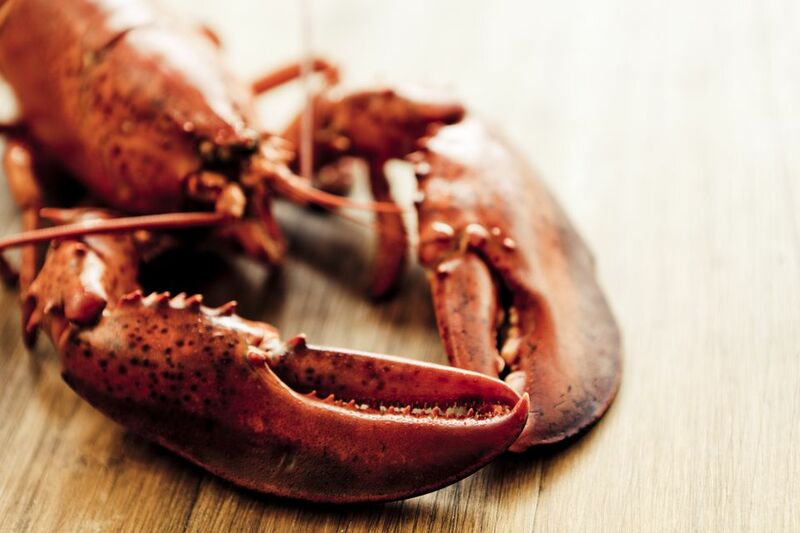 Everyone knows that lobster tastes great served simply with some clarified butter and a splash of lemon. For an Asian variation on the theme, pair your crustacean with a bit of pork and a melange of spices. Then, prepare your taste buds and your senses for the dizzying assault. Cut each lobster tail in half. Wash thoroughly. Drain. Cut tails into pieces 1 1/2 inches in length, leaving shells on. Sprinkle 1/2 teaspoon of salt and the flour on lobster. Mix garlic with black bean mixture in a bowl. Stir well. Heat oil for deep-frying to smoking hot. Put in lobster pieces. Deep-fry until shells are red. Drain. Remove. Reheat 1 tablespoon of oil in the wok. Stir-fry black bean mixture 30 seconds. Remove. Reheat 2 tablespoons of oil in wok. Stir-fry ginger and scallion until there is an aroma, about 30 seconds. Add pork. Stir-fry on high heat until color changes. Add 1 tablespoon of sherry, soy sauce, black bean mixture, and stock. Bring to boil. Add lobster to meat mixture. Add 1 tablespoon sherry. Cover. Cook 3 minutes. Remove lid. Bring to boil. Thicken gravy with dissolved cornstarch. Season with 1/2 teaspoon salt. Add scallions. Slowly pour in beaten egg. Stir-fry about 10 seconds. Remove. Reprinted with permission from Madame Wong's Long-life Chinese Cookbook.